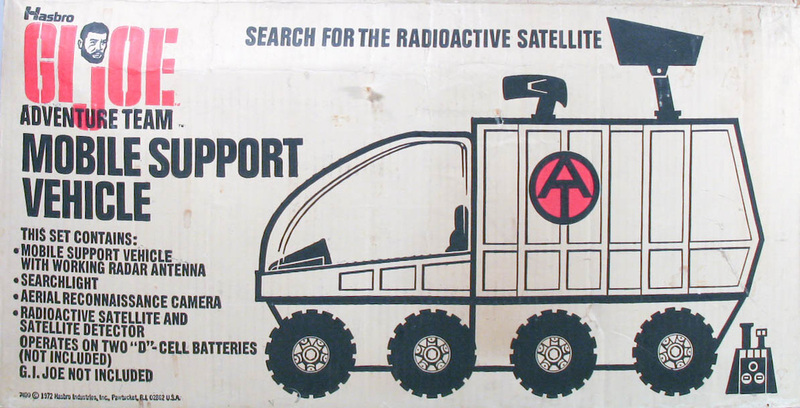 The Mobile Support Vehicle (7499) serves a mobile headquarters for Adventure Team missions. 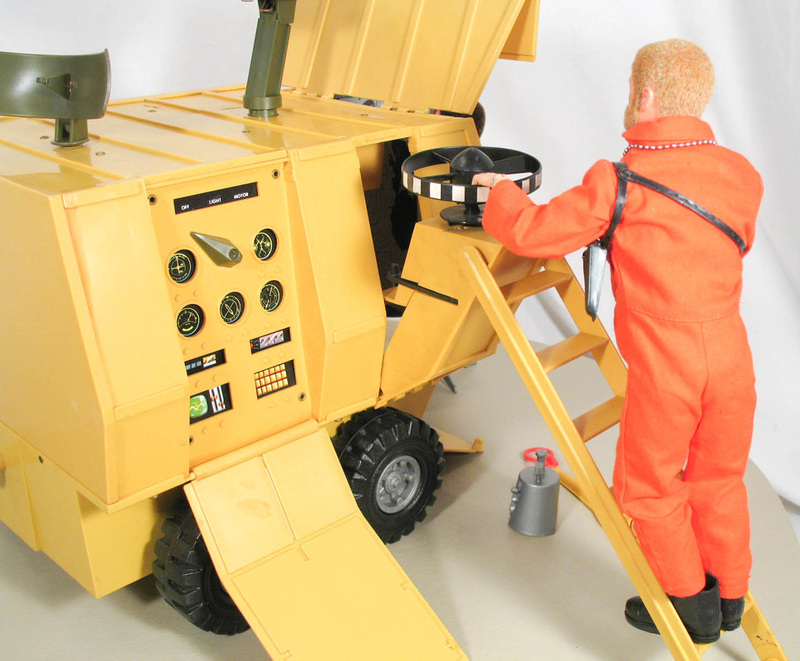 The vehicle is mammoth from a kids perspective, and has a ton of play options, from the full mobile mode shown above, to the separate control center, storage unit and reconnaissance camera launcher, and the separate removable cab that becomes a rover with a bubble window. 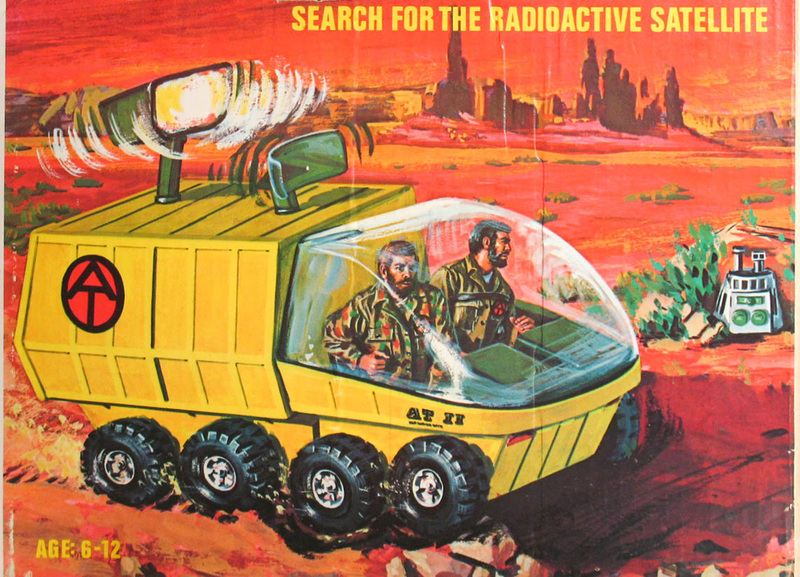 It predates the great Filmation Saturday show ARK II by several years, but reminds me of their vehicle. 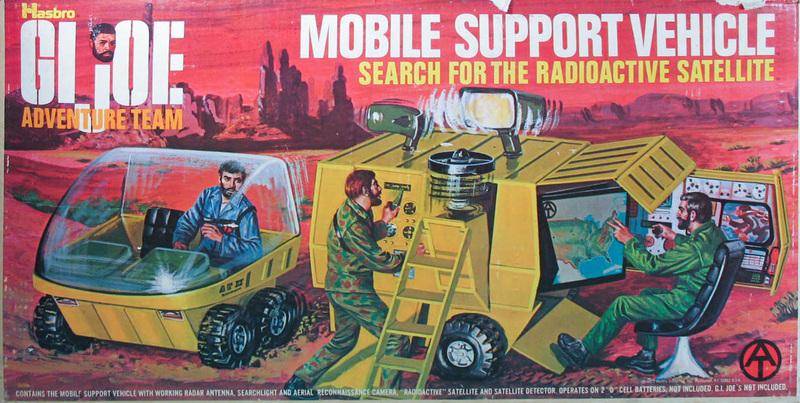 The set didn't come with a comic, but the box shows us Joe is on the hunt for a radioactive satellite, a problem that shows up all over the world of the Adventure Team, as in Missile Recovery and Mystery of the Boiling Lagoon. 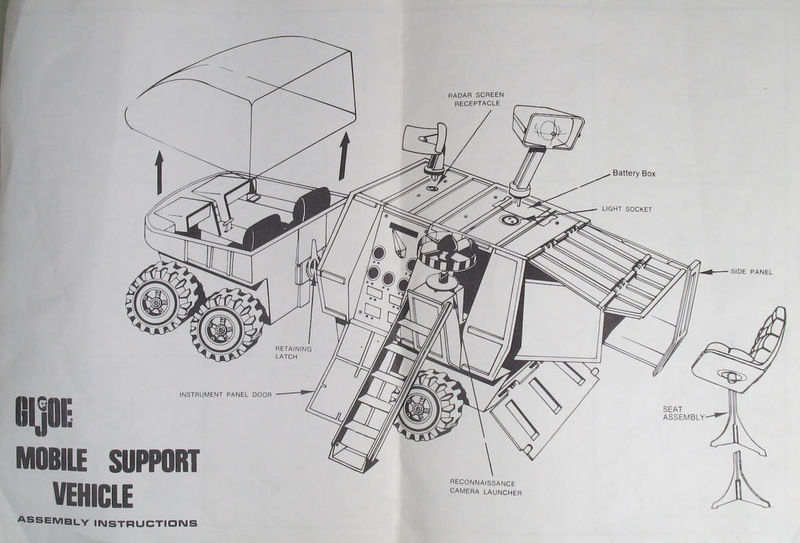 The chassis of the MSV was reused for the late issue Big Trapper vehicle. 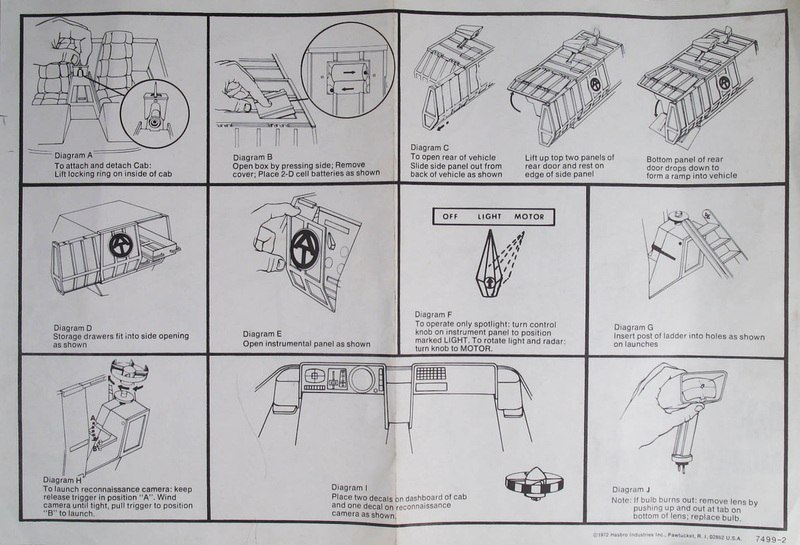 Top left, the control panel and reconnaissance camera launcher. GI Joe was flying drones years before the military! Below left, the pull out trays for equipment storage. 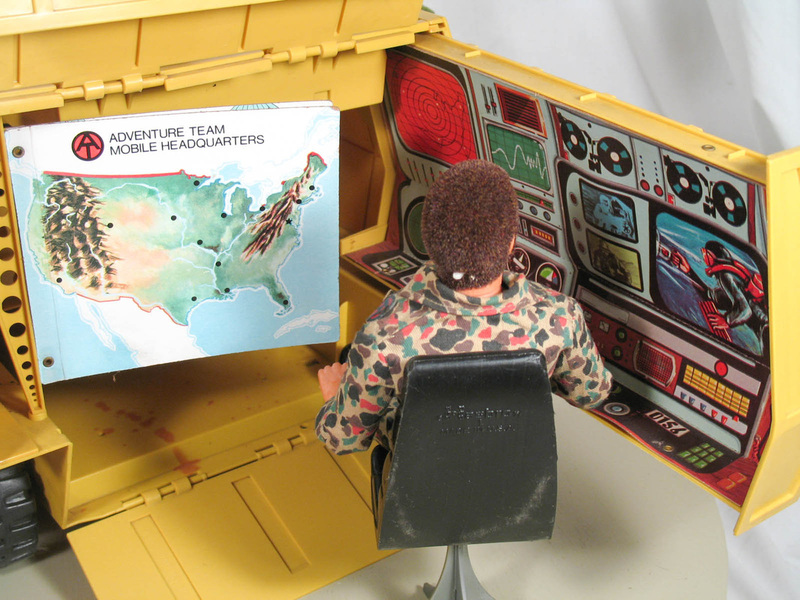 Below, the pull out side with control panel and hanging maps and sweet 70s Eames style chair. 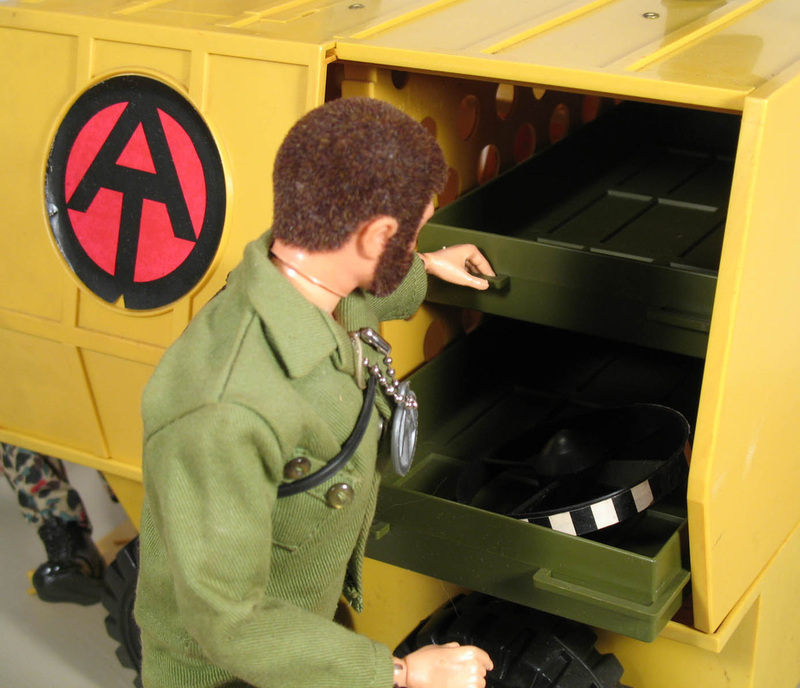 Gi Joe always had a strong taste for modern design. Below, Christmas 1972. Do I actually have my arm around my MSV? Note the blade from an Irwin Helicopter behind me and some sweet Marx Johnny West items in the pile of X-mas booty to the left. 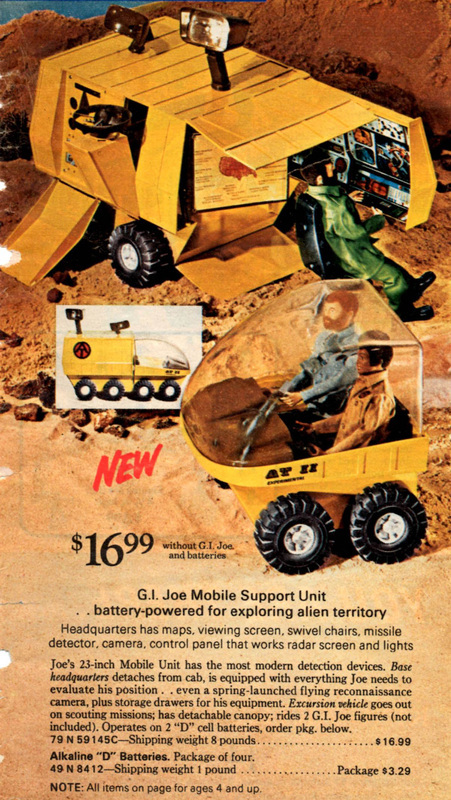 The 60's Irwin toys were available well into the 1970s.